Who Run The World? Ada! Happy Ada Lovelace Day, everyone! Software engineers, computer programmers, UX designers… you name the tech position, and chances are you wouldn’t have it without Ada Lovelace’s design of the first computer implemented algorithm. This makes Ada the first ever computer programmer. 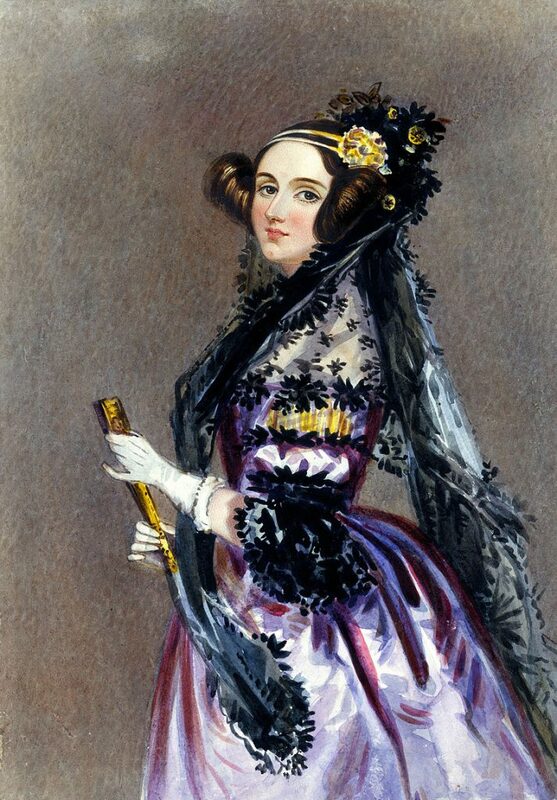 Ada Lovelace Day is meant to recognize and honor the various women across STEM. Lovelace was a visionary; and her legacy is being used to inspire the current tech landscape. Ada’s ideas serve as a reminder that innovation is always happening. It was the 1800s when Ada was contemplating the idea behind the computer, pontificating a machine that would one day be able to react to things like ideas and opinions, not just numbers and letters. The organization Finding Ada holds an annual event on the second Tuesday in October. 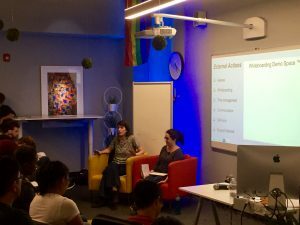 The event is centered around women in STEM and features talks, workshops, and even entertainment. The main event is produced in London, but many individual ALD celebrations happen all over the globe. To find out what events are happening around you, click here. The emphasis on development of professional soft skills (i.e., – effective communication, teamwork, etc.) ran a constant thread throughout all of Ludo’s answers. When asked about what characteristics a good engineer should have, he pointed to traits such as ‘determination’, ‘resilience’ and being a ‘team player’ as well as noting not to “underestimate things like social skills and communication. 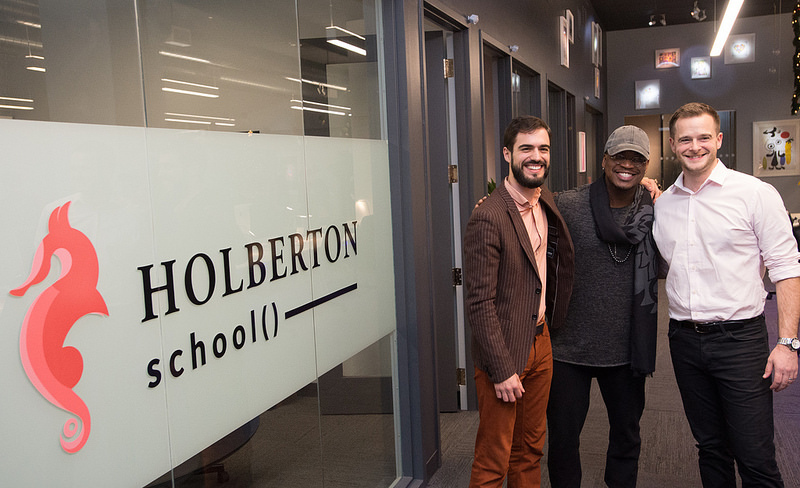 You’ll have to talk to and work with a lot of people.” You can see these elements becoming habits by looking at Holberton’s curriculum. For example, all students participate in a project where they are split into two teams and each team self organizes into a corporation; there’s a CEO, a marketing “department”, a product development team, etc. Both teams are given the same problem and it’s a race against when the clock strikes 5:00 to solve the problem in a more efficient way than your opponent. Now that is certainly the type of project that produces resilient team players, that know how to communicate! Furthering his point, when asked about how to go about landing an engineering job his answer focused on gaining experience, as well as interview preparation – “any type of interview here in Silicon Valley, or generally in tech, it’s all about preparation.” Preparation for interviews goes beyond learning the code. Interview preparation includes skills ranging from technical understanding to understanding social cues. 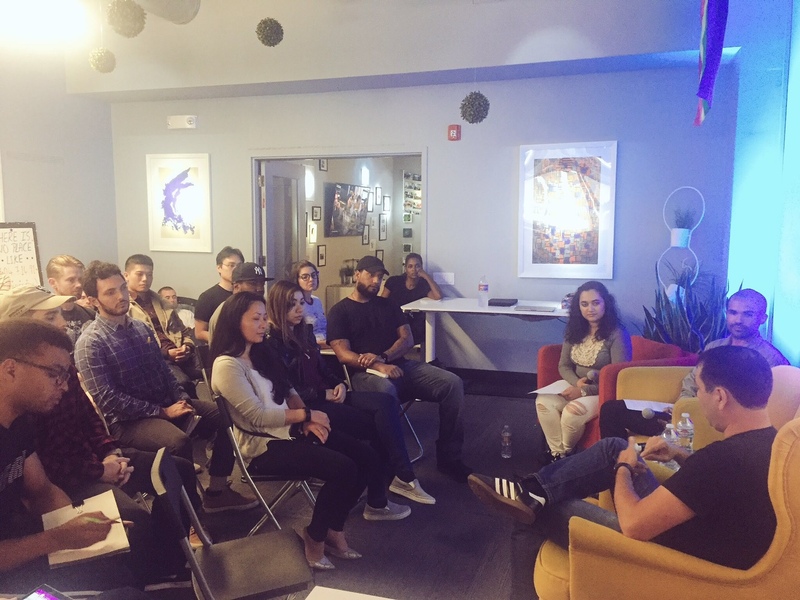 During the student Q&A, Ludo touched on a couple of the industry’s current pain points including diversity and inclusion. He reminded the audience to remember not to get so wrapped up in your career that you forget to take a step back and help people around you. It is clear Ludovic has a handle on the larger picture. Engineering success seems to be a delicate balance of technical and non-technical skills. 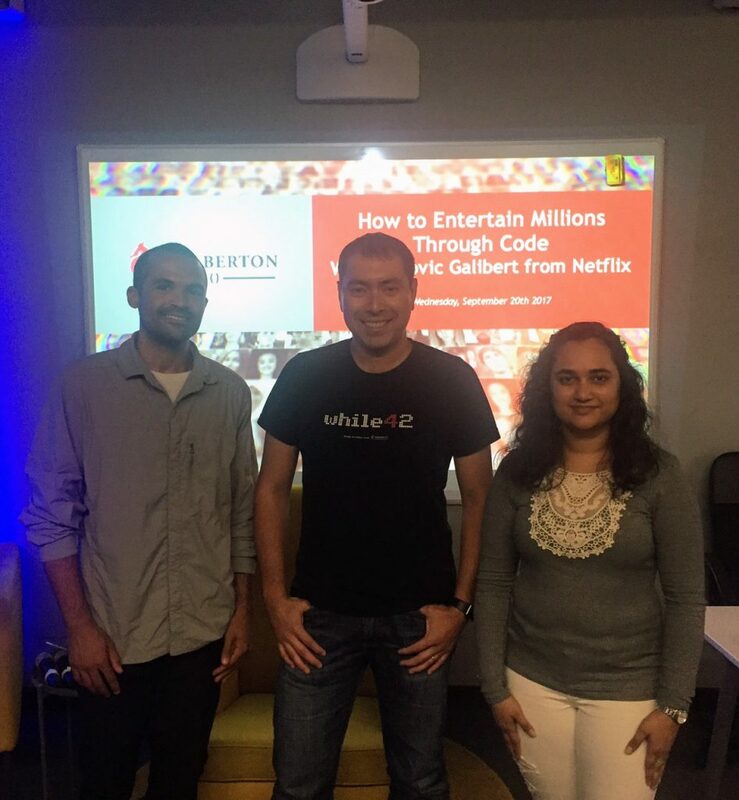 Ludovic Galibert, Senior Software Engineer at Netflix & Holberton School Mentor, designs and implements highly scalable tools and services that indirectly impact millions of users.